INNOVATION WITHOUT PROTECTION IS PHILANTHROPY. 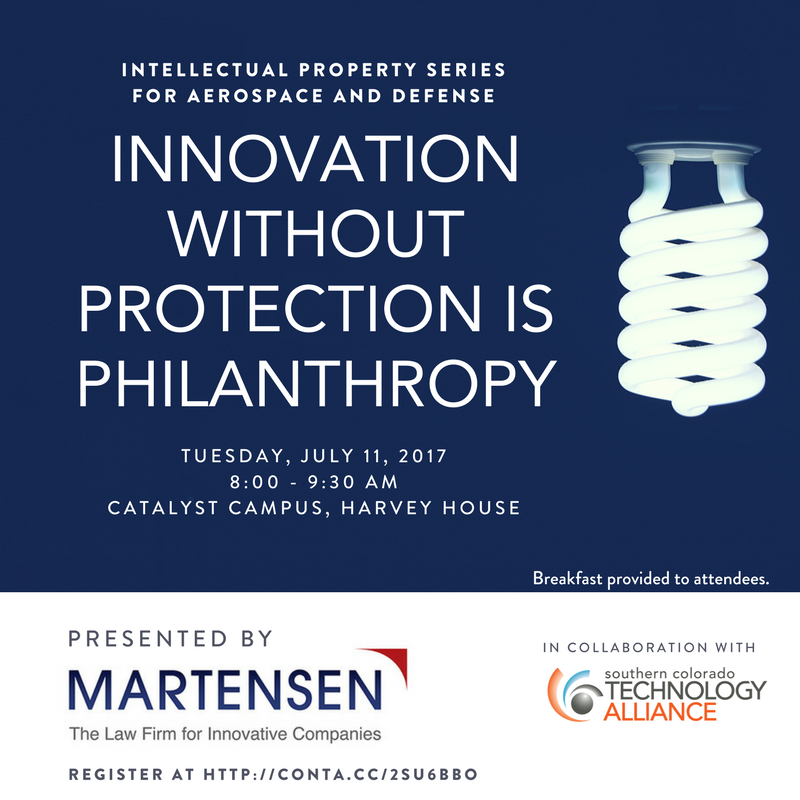 If you've heard that protecting IP is important, but you're not sure why, this presentation will help. Because IP security isn't just part of the ballgame, it is the ballgame. And there are certain "musts" that are bare minimums for you to consider and implement. Protecting IP is futile when dealing with the government. In the government space arena, IP concerns are a waste of time and money. Commercializing IP derived from government contracts is impossible. The prime contractor will take my IP and underbid me. A light breakfast and coffee will be provided to attendees. To register for the event, click here now!